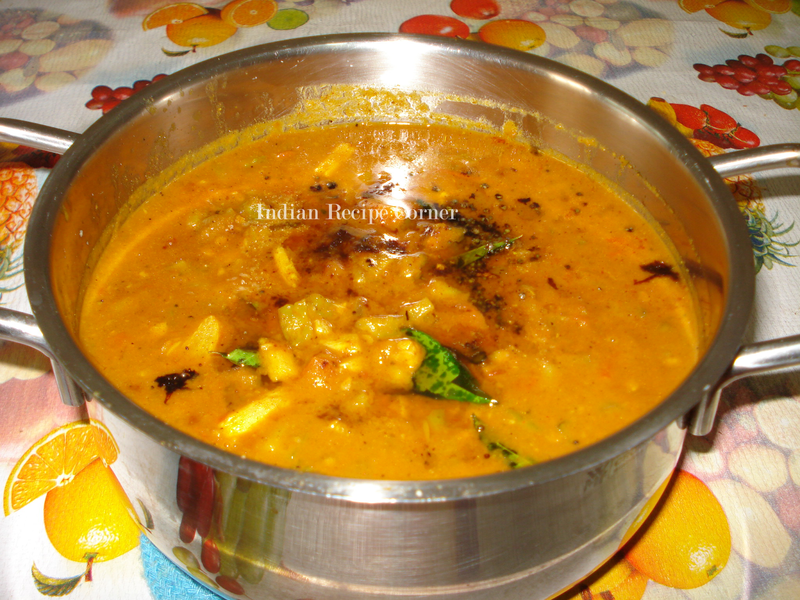 Tangy gravy or puli kulambu as referred in Tamil is an unavoidable delicious gravy cooked very often in South Indian homes. 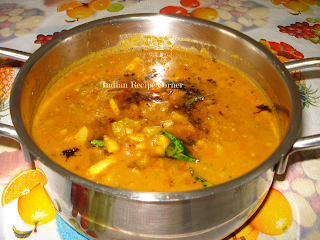 The gravy takes the taste of the vegetable it is cooked along with. Only selected vegetables are cooked in this manner. Ladys' finger, brinjal, wonder berry, baby eggplant, ivy guard and bitter guard are among them. But the cooking method is the same with whatever vegetable it is cooked along. Here the recipe is explained with wonder berry. Even then the tangy gravy cooked with bitter guard and baby eggplant is also displayed. 1. Soak the tamarind in 1/2 cup of warm water for about 10-15 minutes. Squeeze the tamarind and get the filtered extract in a bowl. 2. Get the shallots ready by peeling the outer skin and rinsing. Similarly garlic and keep aside.Clean the manathakkali seeds by removing from its sprig and soal it in a bowl of water for 5 minutes to remove the mud sticked to it. 3. Heat a tsp of oil in a pan and roast the sundakka and manathakkali vathal in medium flame for about a minute. 4. Heat a thick bottomed kadai, add 1/4 cup of sesame oil. Once the oil is hot enough add shallots and garlic. Keep the flame low and roast till onions become transparent and garlic is soft. 6. Add in the tamarind water and some curry leaves. Add salt to taste and stir well. Let the kuzhambu boil in medium flame for about 5 minutes. 7. 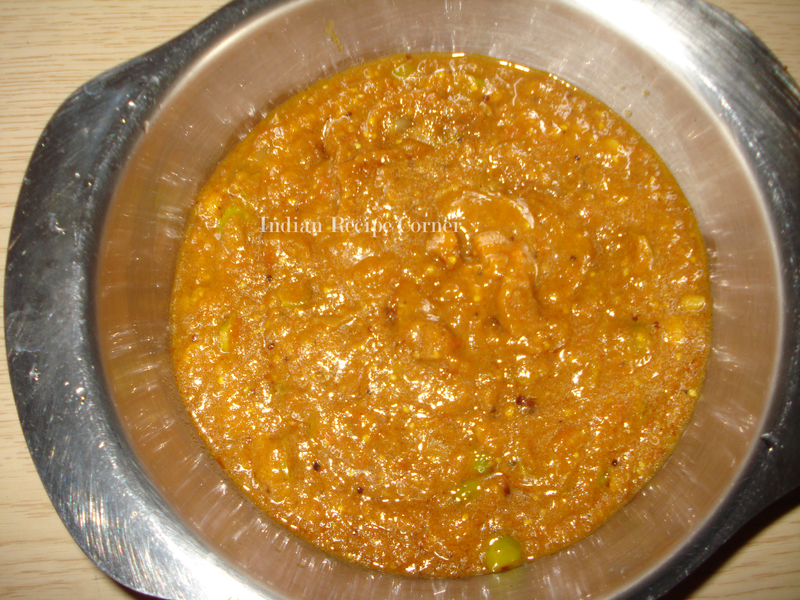 The oil should seperate from the curry, only on seeing that, add in the roasted manathakkali seeds. 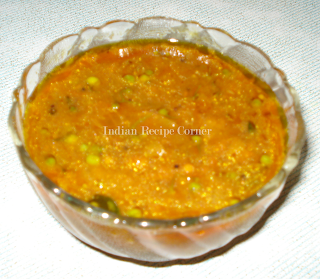 Add a small piece of jaggery at the end and continue boiling forabout 2-3 minutes. 8. Now do the tempering as heat the oil, drop in the mustard and allow it to pop, add chana dal, jeeragam, fenugreek, dry red chilli, asafoetida powder and curry leaves. 9. Add the tempered ingredients to the gravy. Switch off the flame and serve hot with rice and pappads and ghee if favoured. Can have this gravvy as a side, for curd rice also instead of pickle. 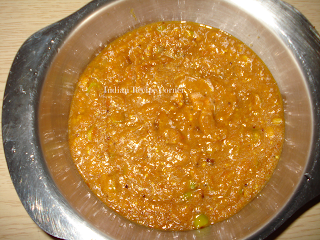 The same method can be applied to cook both fresh and dried sundakkai - the baby eggplant and bitterguard. When using dried ones, add salt moderately as the dried seeds are made by soaking the fresh ones in salt water and drying it. Thanks for the recipe. It might taste best with fresh vegetables. Good post.